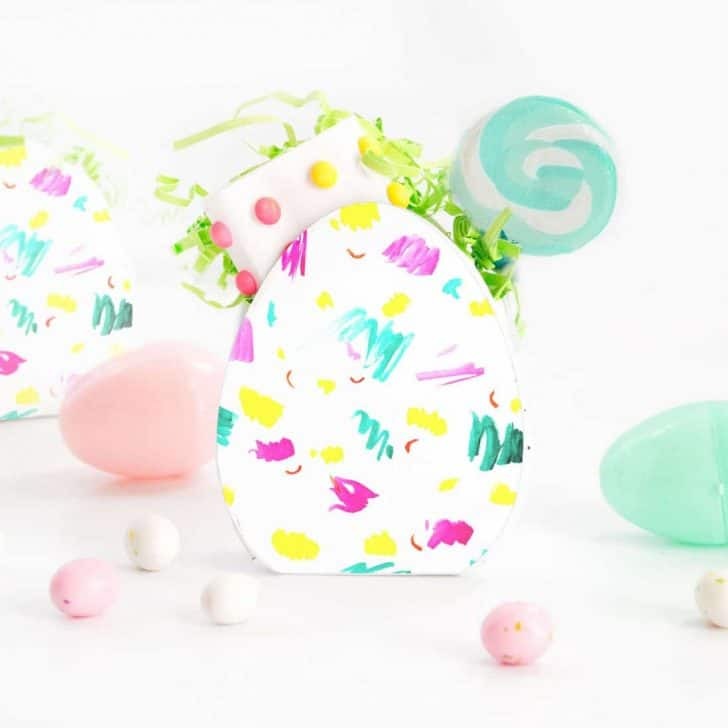 If you’re one of those last-minute Easter basket fillers, today’s printable is for you. 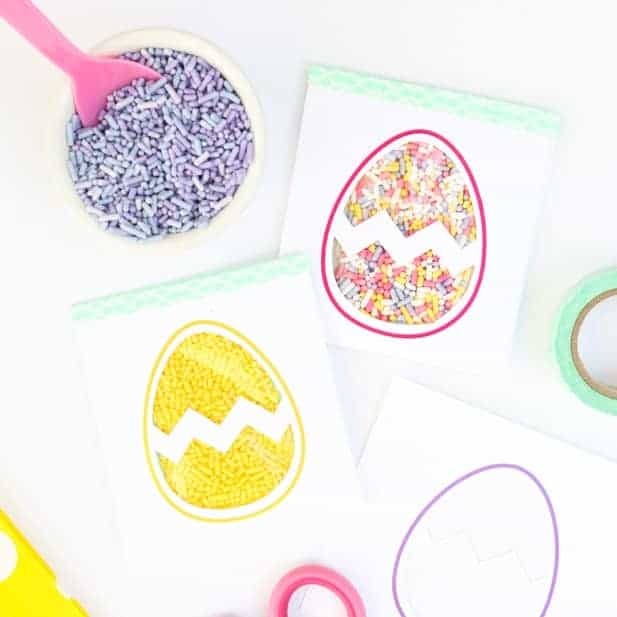 Attach these Easter basket printable wrappers to containers of play-doh for a quick & easy Easter basket surprise! I have about 20 containers of play-doh leftover from last week’s product photoshoot for a teaching website, so I figured I’d put them to use. 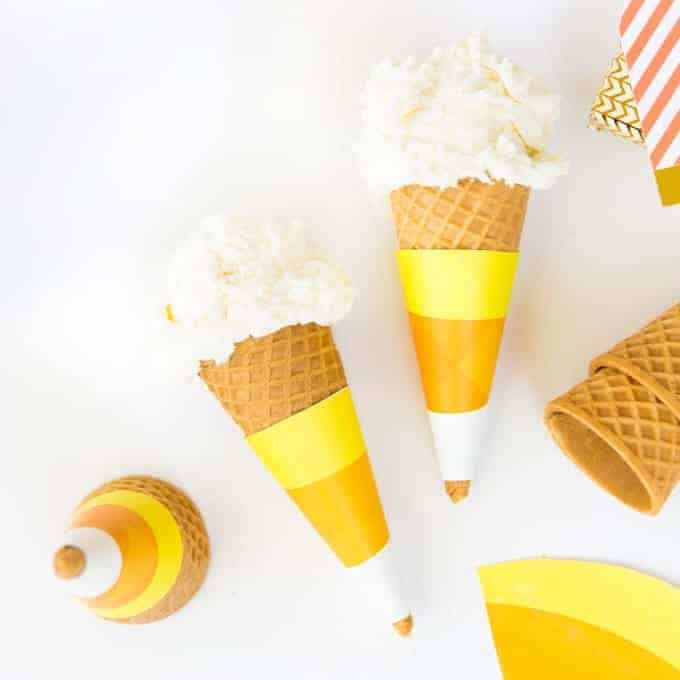 Because everybody loves play-doh, right? 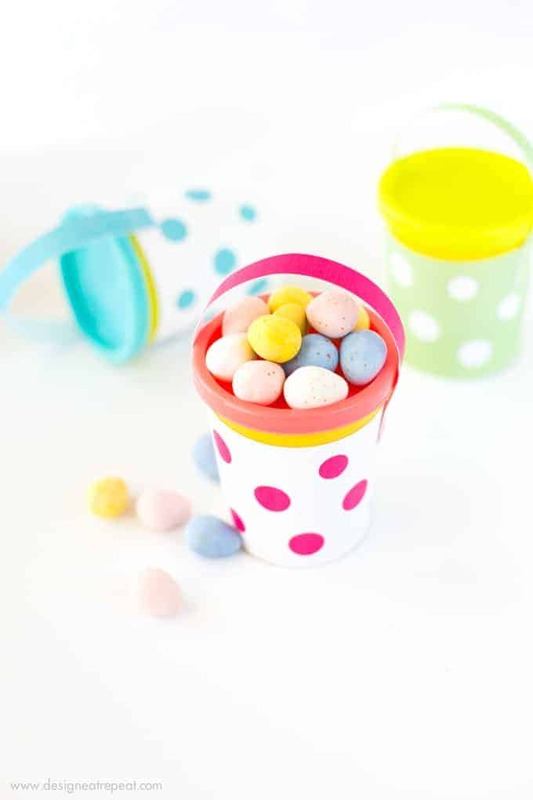 I designed three colors of polka dotted wrappers & Easter basket handles, printed them off, and taped them on the containers. 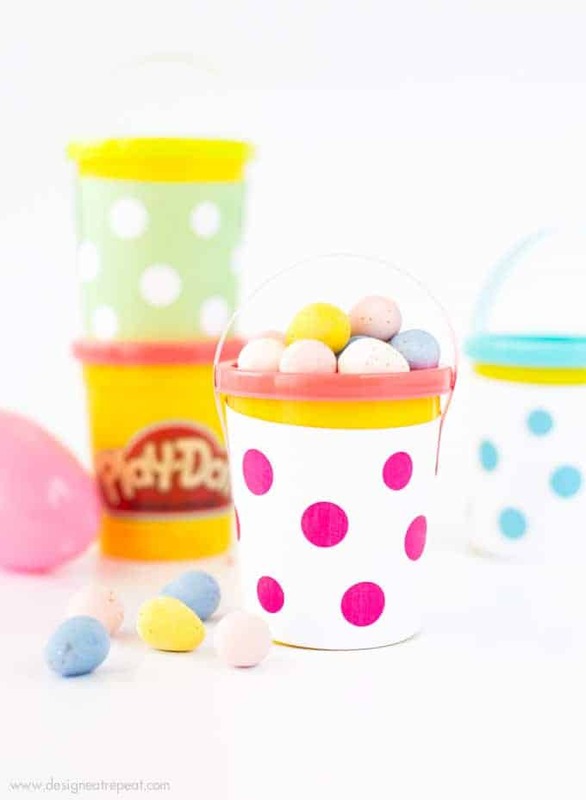 Toss a few of these mini baskets into your actual Easter baskets along with some play-doh filled eggs and you have yourself some never ending fun. That is, until the kids leave the containers open for days and let the play-doh dry out. Seems to be one of those inevitable things in life. 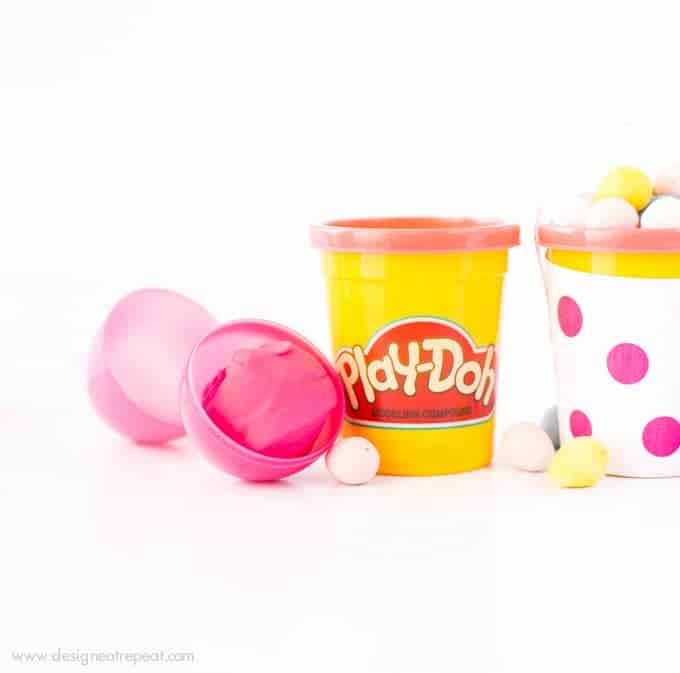 Sidenote: Did they change the formula of play-doh since I was little? I never was a big fan of it because it made my hands smell terrible, but they seem to have perfected that in the past 20 years. Hooray to that!